Get married in an elopement style ceremony – just the two of you with your witnesses or a few of your nearest and dearest! A Short & Sweet Ceremony is a simple, convenient and intimate way to marry but without the fuss, stress and most of all – the huge expense of a large, traditional wedding. A Short & Sweet Ceremony is exactly that – short (you’ll be Mr & Mrs before you know it!) & sweet (heartfelt & lovely). I am happy to provide you with little ways that you can personalise your ceremony and of course, you always have the option to make your vows a little more romantic and meaningful too! If you just want the minimum legal wording, that’s perfectly fine as well. Most importantly, even though it is short & sweet, it is absolutely 100% a legal ceremony. 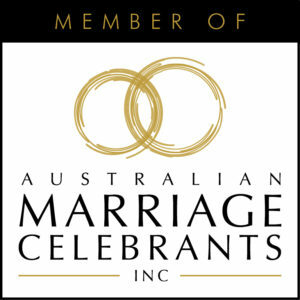 I will clearly explain everything you need to do and all of the documents you will need to provide along the way to meet all of the requirements of marrying in Australia. 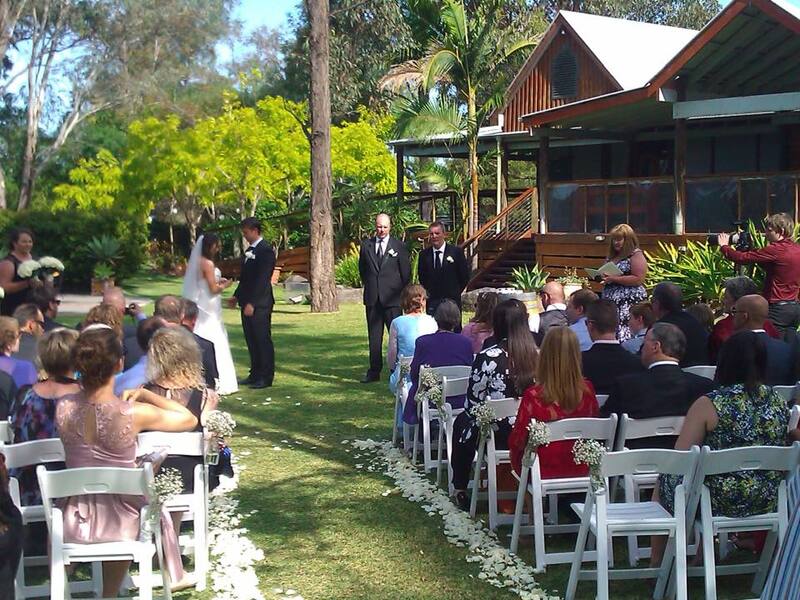 You can have a Short & Sweet Ceremony anywhere! 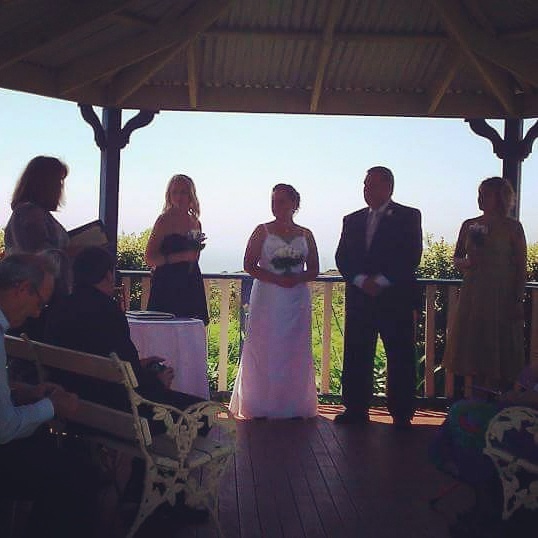 You can get married in your home or back yard, in a park or on a beach, at a cafe or restaurant or at a venue. Please be aware that booking fees may be payable for some locations. With my years of experience, I am happy to help advise you on the perfect location if you are undecided or are not familiar with the local area. As these are an elopement style ceremony and similar in style to a Registry Office ceremony there is a MAXIMUM 10 – 15 GUESTS including your 2 witnesses. If you want to elope in secret – I am fabulous at keeping secrets. For couples who want a larger number of guests & music at your Short & Sweet Ceremony, the fee payable is $703. This is the most popular option for couples looking for a beautifully designed, personal and heartfelt marriage ceremony. Your marriage ceremony is the most important part of your wedding day. All of the months of preparations, lead up to the moment that you both stand before each other – in front of your family & friends, to take your vows and commit to becoming husband and wife. My philosophy as a celebrant is that I tell your story – your hopes and dreams for your future, important times that you have shared and experienced as a couple. A non-refundable deposit of $150 is required when I accept your Notice of Intended Marriage. The deposit also secures your date and ceremony time in my diary. The deposit can be paid at our first meeting or via direct deposit within 7 days of our meeting. The balance is payable one week prior to your ceremony. Any special accessories for rituals to be included in your ceremony such as sand ceremonies supplies, butterfly & dove releases, candles, ribbons, wine, chocolates or any other ceremony elements that may be required will be provided and organised by the couple. You will need to supply your music if I do not have your specified songs or music within my current playlists. You are welcome to download music onto a compatible device for testing on my PA or provide your music burnt onto a CD.